1. 360°adjustable design of the lamp head to adapt to your treatment needs. 2. 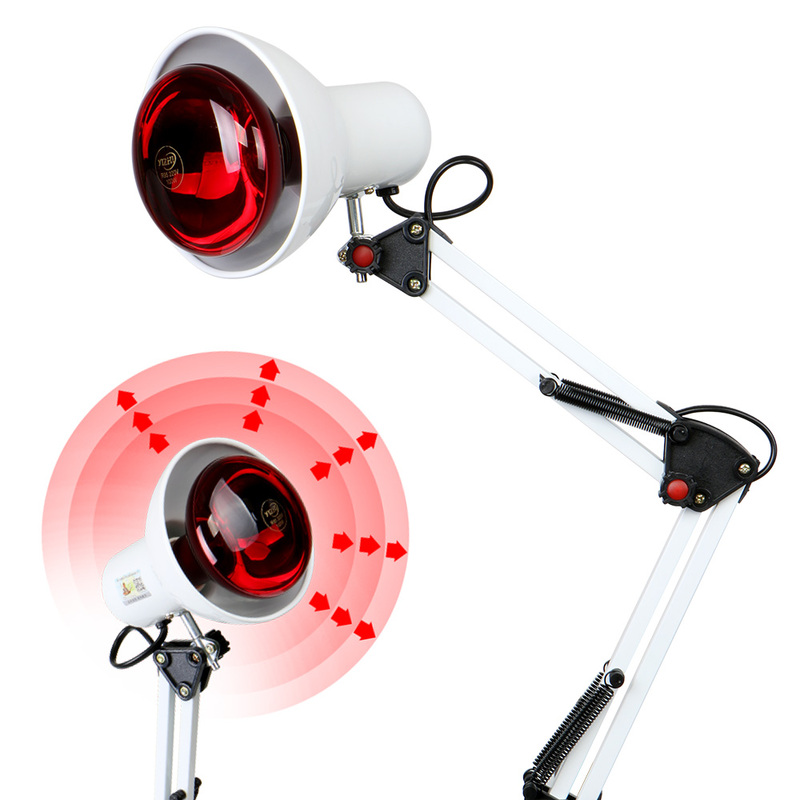 The heat lamp increases blood circulation, aids in pain relief of muscular pain. 3. Through infrared light irradiation to the acupuncture points can ease kinds of disease like back acne, cervical spondylosis, lumbar disc herniation, frozen shoulder, soft tissue contusion, sciatica etc. 4. Professional for most occasions such as home, hospital, spa, beauty salon and health care center.